And so the last day of the conference comes and goes. It was a marvelous time with good cheer amongst colleagues and friends. Many amazing musical moments occurred. Many treasured moments of being together as a huge family of low brass enthusiasts will remain with me the rest of my life. 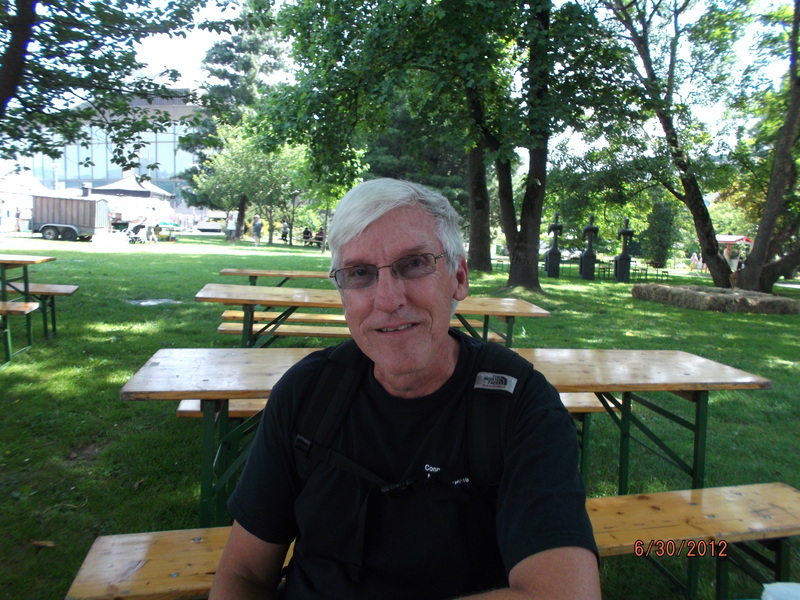 Gary Buttery, retired Coast Guard band tubist still teaching at Connecticut College and University of Rhode Island. We had a wonderful time catching up on family and friends. J.D. 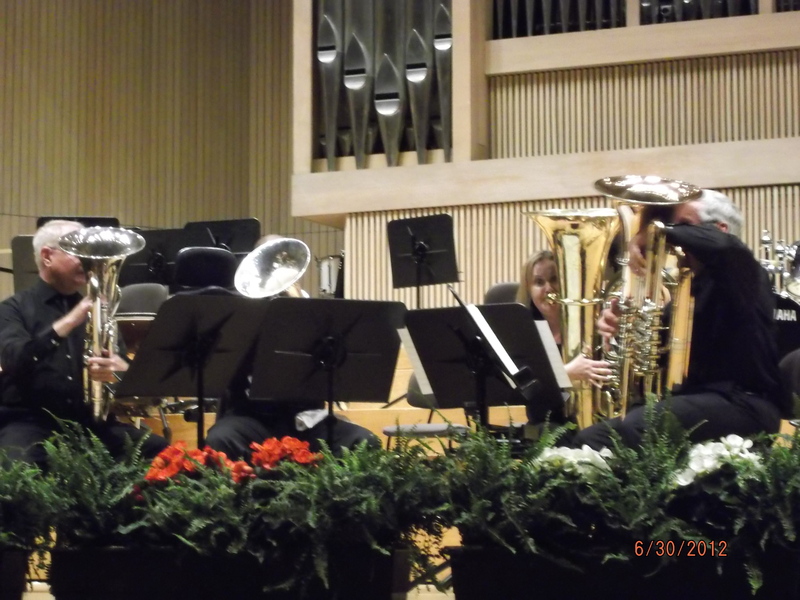 Salas and Chris Combest – the next generation of tubists! J.D. was a honorable mention recipient of the Clifford Bevan award for excellence in low brass research. Chris presented a recital earlier in the week. 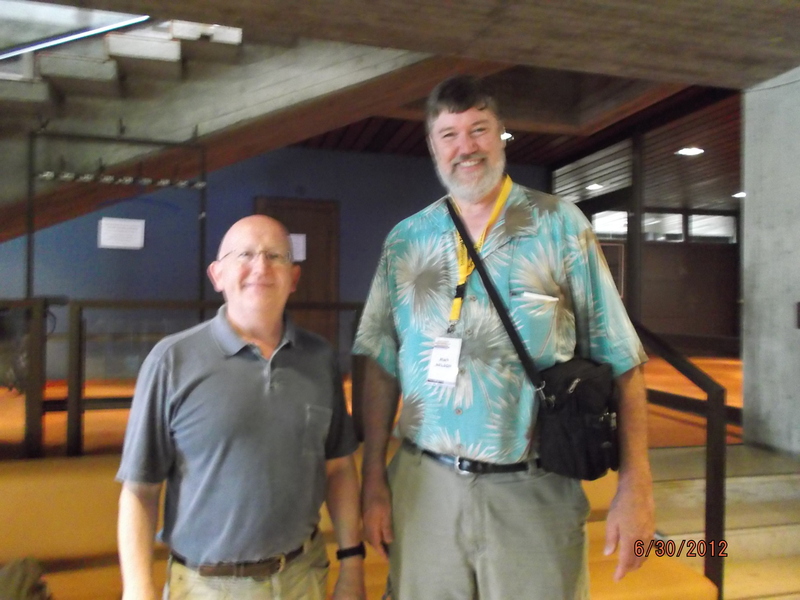 Both have written reviews for my column in the ITEA Journal. Lloyd Bone, Jr., Greenville College, West Virginia, and Mark. We continue to get our picture taken at every conference as the long and short of it! Thanks Lloyd. 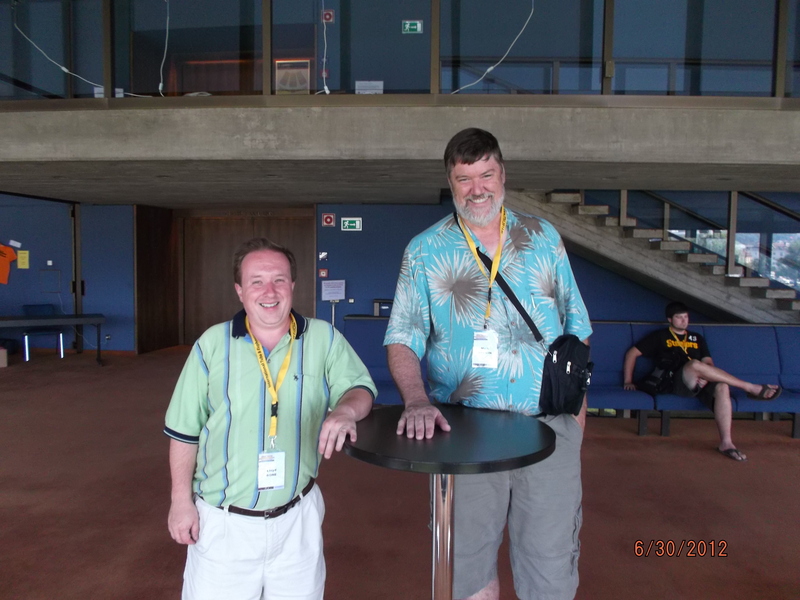 Conference host and artistic director Steven Mead and Mark. 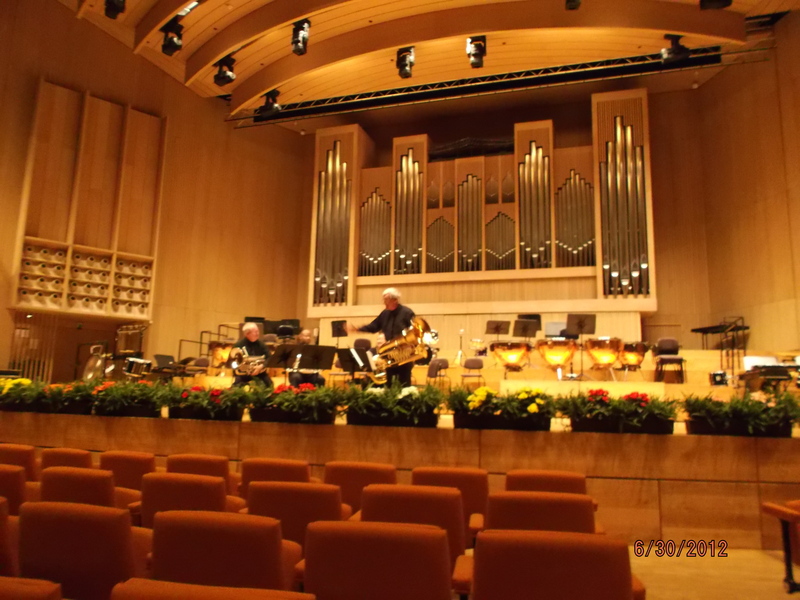 It was truly a spectacular ITEC in such a great setting as the Brucknerhaus in Linz. 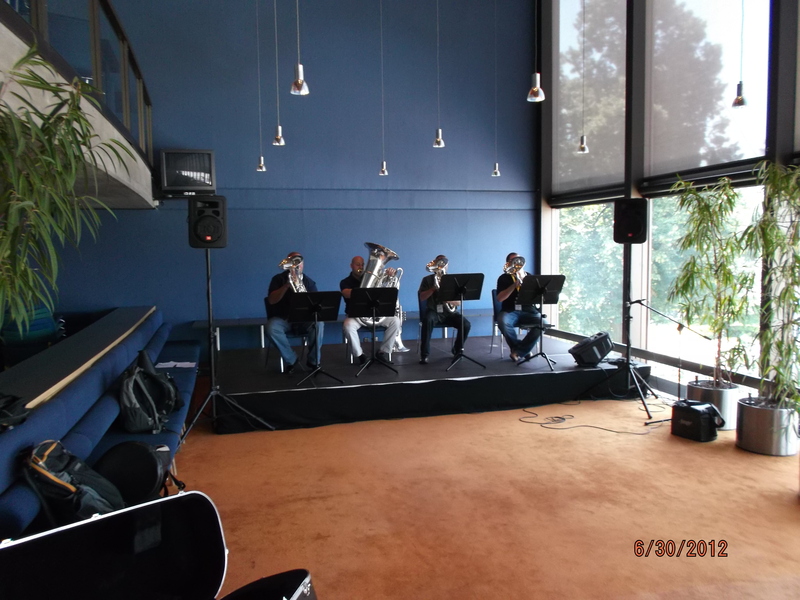 The Euphonix quartet on stage in the dining area of Brucknerhaus. 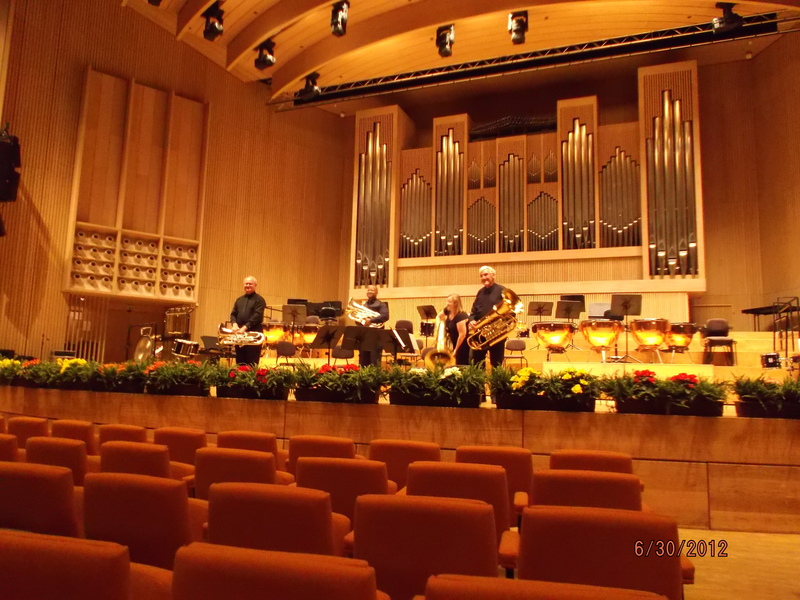 Great concert – the Euphonix quartet. 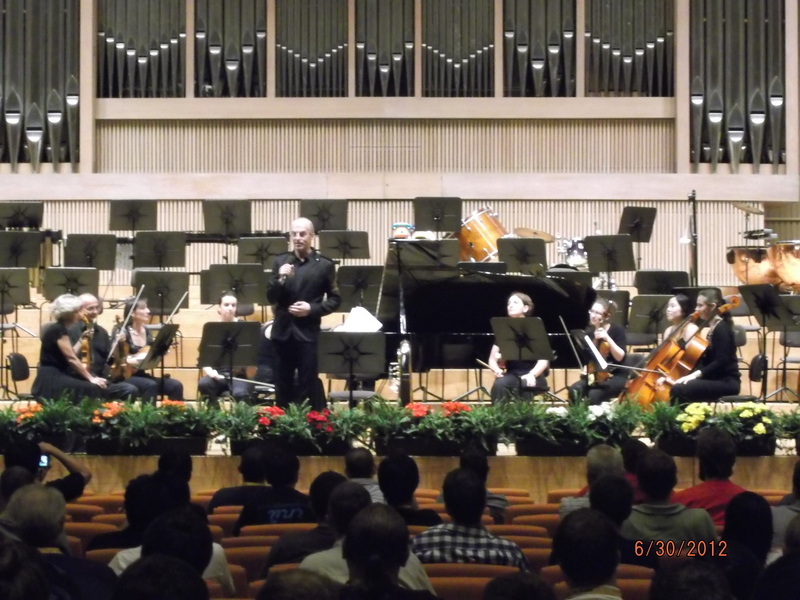 Oystein Baadsvik on stage with a string ensemble and piano. Oystein with a string ensemble. 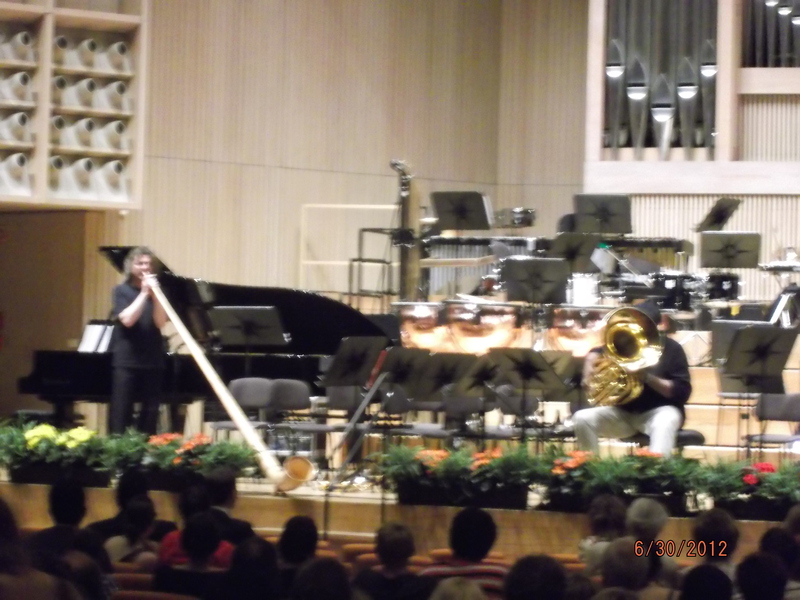 This combination with tuba is quite effective and Oystein once again proved what an amazing musician he is. The Alchemy quartet on stage. All are former or current members of the Coast Guard Band. Gary Buttery talking about the Alchemy quartet. The Alchemy quartet taking a bow. 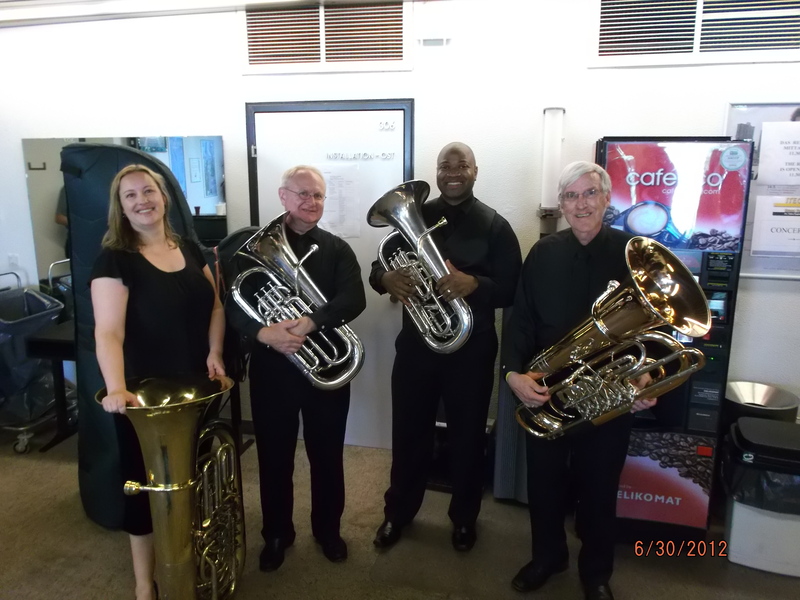 The Alchemy quartet backstage after the concert. 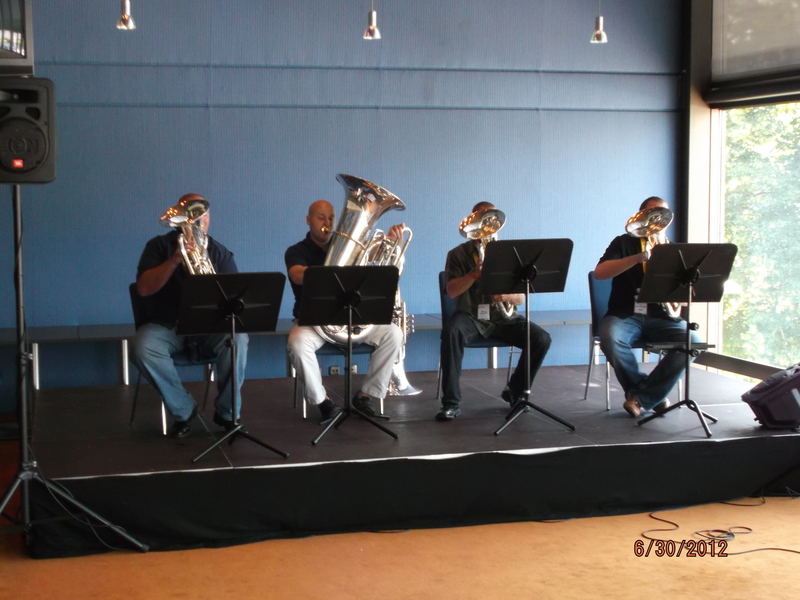 The James Madison University Brass Band outside during Festival Natur near the Brucknerhaus. It was sweltering hot with little shade but they sounded amazing. The conductor, Kevin Stees, and I were classmates at Arizona State. 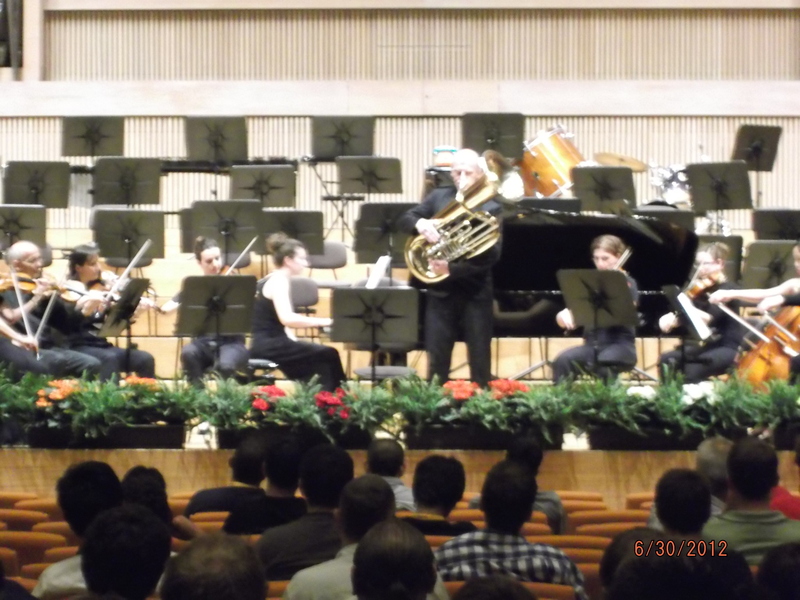 During an interval on the last concert evening, Jon Sass, the great jazz tubist based in Vienna, brought one of his friends (whom I didn’t catch the name) to do an amazing alpinehorn/tuba duo laying down a bassline and improvising over the top taking turns leading or accompanying. Wow! 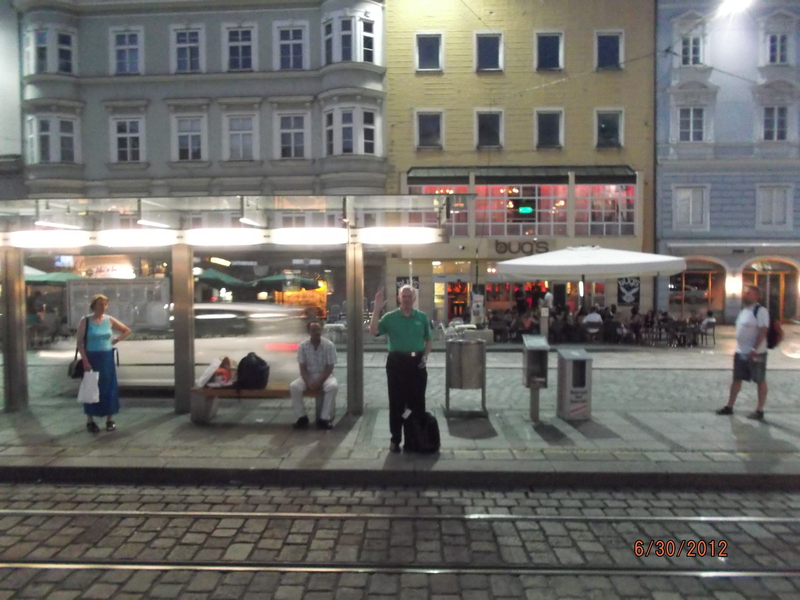 Brian Bowman, euphonium professor at University of North Texas, and I walked back from the Brucknerhaus to the Haupt Platz tram station after listening to the last concert of the evening. He was going north and I was going south so when the time approached, we took up opposite sides and waved goodbye just before the trams pulled in. 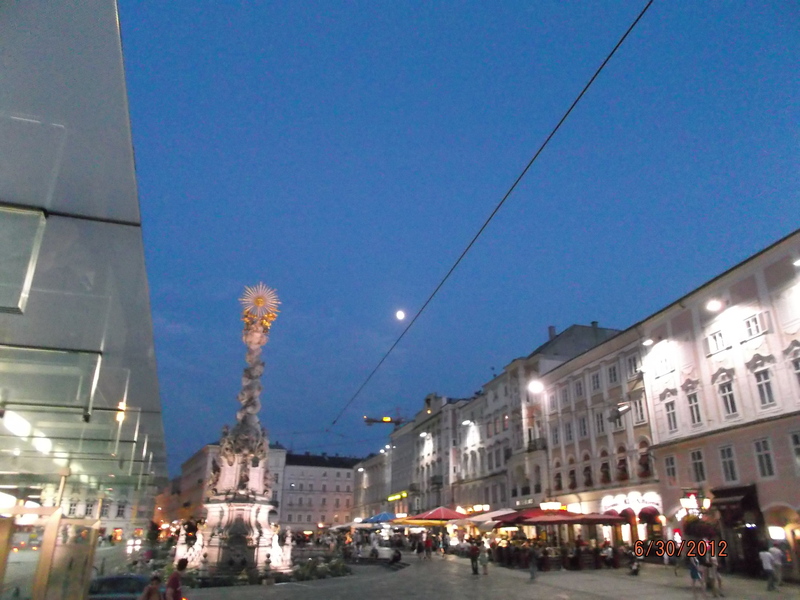 The moon is out over the Haupt Platz . 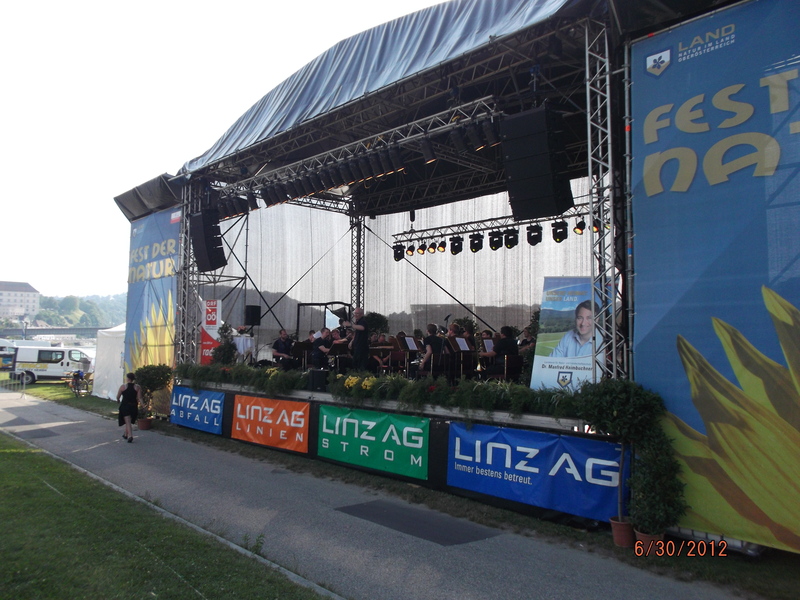 It is time to say Auf Wiedersehen to Linz and ITEC2012. What an amazing week!! 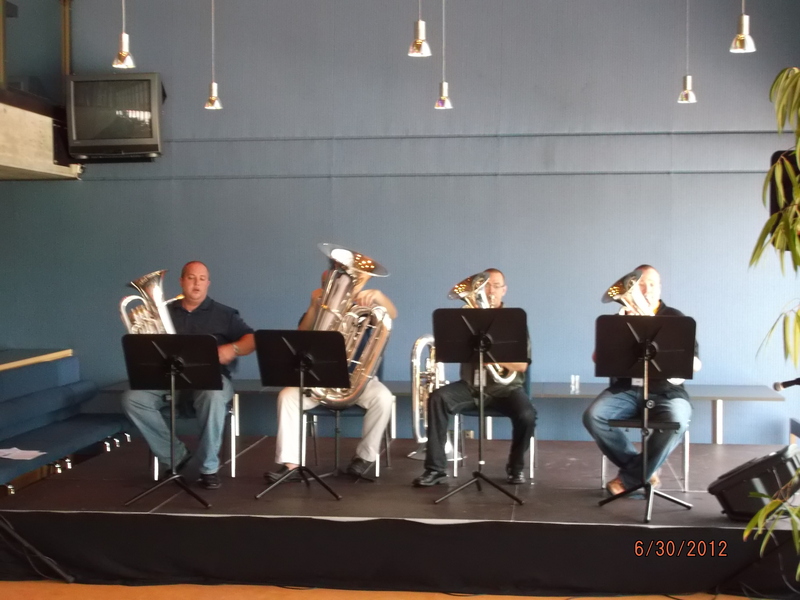 The next morning I caught up with a bunch of us at the Linz Blue Danube airport waiting for our plane to Frankfurt and watching the poor plane loaders again trying to figure out how to load so many tubas in the cargo bay of such a small plane! 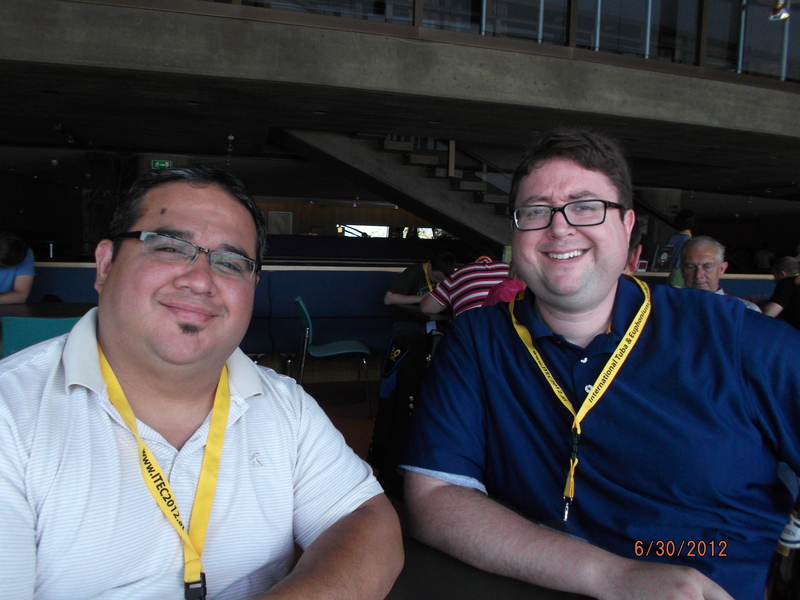 We chatted about little things and great moments at the conference and all hoped we would meet again in 2014. The flight was uneventful and as it is with all passengers deplaning, in a moment after entering the Frankfurt terminal, we had all separated without so much as a last goodbye hurrying to catch our next plane. This is a conference that will never be forgotten.